Welcome to the BP Ski Hire – The Ski, Snowboard & Chain Rental specialists, conveniently situated at BP Service Centre, Jindabyne. 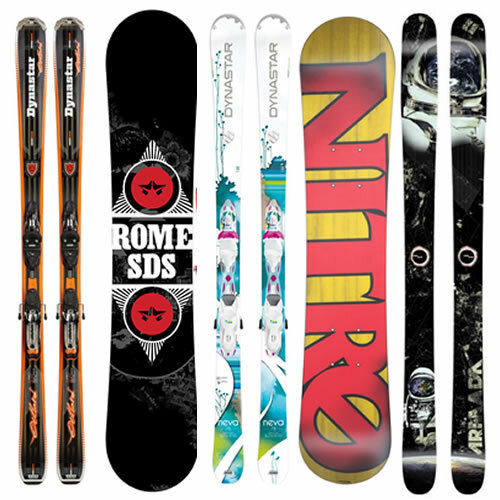 We providing a full range of quality Skis, Snowboards, Snow Clothing and Accessories at discounted rates. BP Skis Snowboards & Chain Hire is open 24 hours, 7 days a week throughout winter – making it easy for early morning rental pick ups and late night returns. Hire a Ski OR Snowboard Now! BP SKI HIRE is open 24 hours through the snow season. For convenience customers can collect all their gear anytime from 3.00 pm the day prior to hire commencement date. For instance, if you arrive at 8.00 pm on friday night, get fitted and collect your hire, your rental period commences on Saturday. If you collect on Saturday morning at 3.oo am, this is the day your rental commences. Returning your hire equipment is also convenient. You have until Midnight the day your hire period ends, to return all the equipment. For example, if you are hiring Saturday/Sunday, you can return gear as late as midnight on Sunday.